There is a saying you probably heard before that goes like this: “You get what you pay for.” That is true in most cases when it comes to services and goods. This is something that thanks to our economy we have rightfully come to expect. But what can you expect to get from something that costs only fifty cents? Here is one instance where that saying is not true, but in a very good way. It’s not hard to find a bargain as long as you are looking for it. 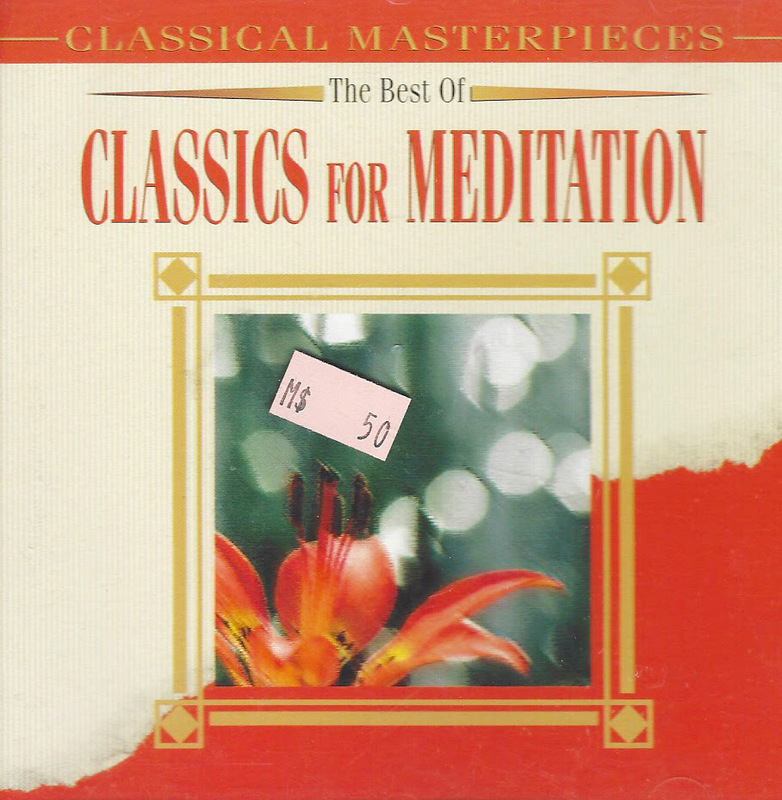 I found a great one at a local thrift store when I purchased a CD called The Best of Classics for Meditation. Total running time fifty four minutes and ten seconds. To me it’s not worth fifty cents. It’s worth much much more even if purchased at the regular price. When I saw the price on that CD I kind of thought to myself “How dare they label this CD fifty cents!” In this CD I listened to priceless classical compositions like Symphony NO. 6 in F major opus 68 Pastorale by Ludwig Van Beethoven recorded by the Slovak Philharmonic Orchstra, conductor Bystrick Rezucha. Cluade Debussy’s Claire de lune, Tchaikovsky’s Flower Waltz from The Nutcracker and Edvard Grieg’s Morning from Peer Gynt-Suite NO. 1 op. 46, to mention a few. The compositions are spectacular and to think that I am listening to these classics that were written centuries before and I can still enjoy them today for fifty cents! Beethoven lived from 1770 to 1827 and I am still enjoying his music as I drive my car to work. One thing that humors me as I listen to these works is that I don’t think this is the way classical music was meant to be listened to. Back then there were no tape recorders, no radios no internet, no cars. Attending a performance was a social event. And live in person was the way it was meant to be experienced. Yet I am very grateful to hear it in my car as I drive to work. It’s easy to undervalue or “label” something or someone as not worthy of our attention as we rush from work to work. But then there is that which just stands out from the crowd, that which transcends. As I facilitate the Distance learning course for the Napoleon Hill Foundation the students are asked to submit a name of someone who personifies Definiteness of Purpose. One of the students submitted rap artist “Fifty Cent” as an example of great Definiteness of Purpose. This is a person who was able to overcome the challenges of his environment, who through applied faith and hope was able to become a very well-known artist in the genre of rap and in pop music. One source says Mr. Jackson adopted the nickname “50 Cent” as a metaphor for change. Growing up in an environment where you are labeled worthless is not an easy thing to overcome. He was different. He had talent and he wanted to change. And he did! Coming across great finds or impressive talent takes a little bit of luck, or a little bit of searching. And sometimes you will find these in the most unlikely places, like a thrift store, or a ghetto, or even in a flooded motivational success market. There can be great value in the wrongly labeled, the discarded, the unwanted, the not so well known. Rest assured that once you encounter a great find you can extract great riches that are worth more than their weight in gold. That is my fifty cents.